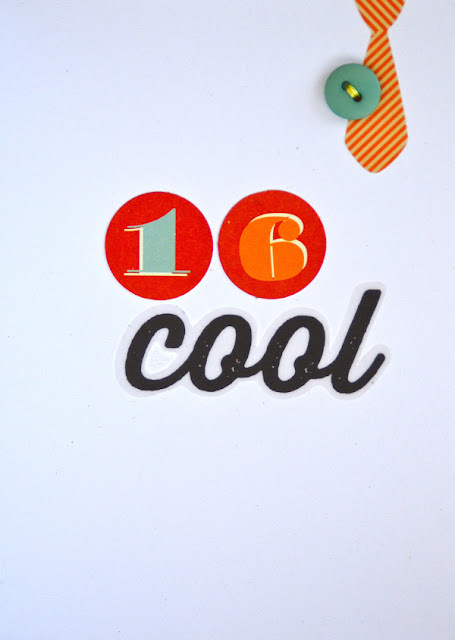 A friend's son recently turned 16 so I made him a card using Pink Paislee's Hey Kid collection. This collection is unique in the sense that half of it is boy-themed (with mustaches, ties and rockstar elements) and the other half is geared more toward girls (flowers, bright colors and pocketbooks). 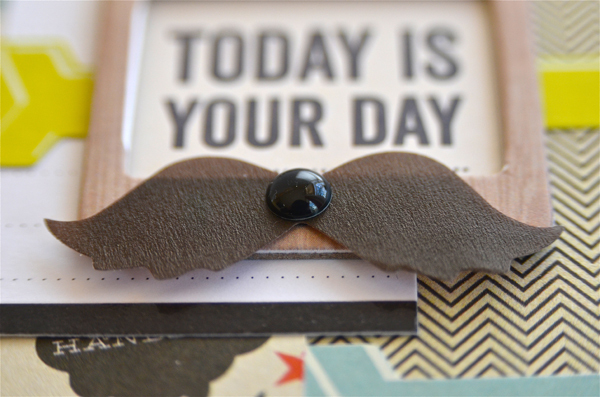 Here's a closer look at the vellum mustache. Isn't it adorable? I couldn't resist adding an enamel dot. I even decorated the inside of the card. 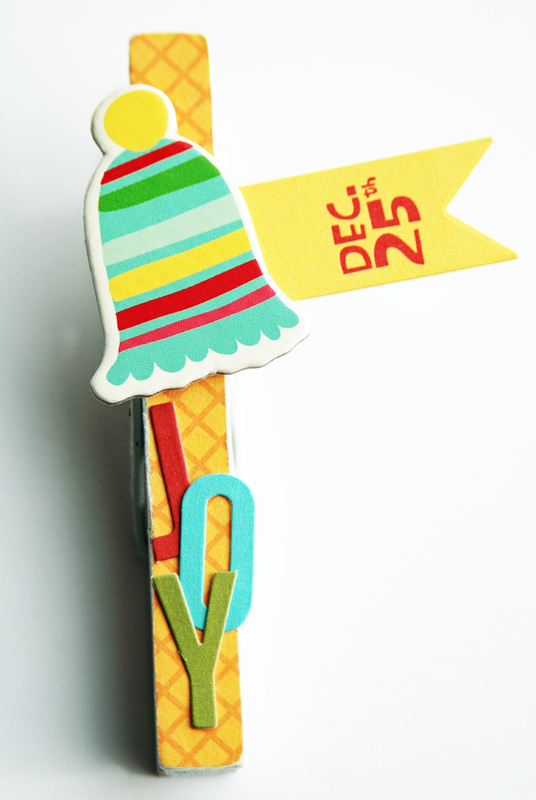 The tie, and the word "cool", are vellum diecuts. Thanks for stopping by! I'm taking the rest of the week off to spend time with my family and to prepare for Thanksgiving. See you on Monday. Happy Thanksgiving! I'm beginning to wonder if maybe I have a "thing" for altered clothespins. I made this traditional Christmas set, this teacher-themed gift set and now the merry and bright holiday set you see here. 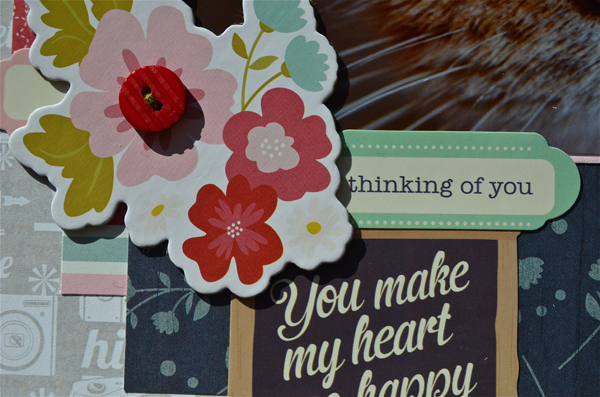 I created this set with assorted strips of patterned paper and random embellishments from my stash. "These darling clip-on clothespins provide you with multiple ways of hanging up those treasured (holiday) greetings. Decorate your...tree by attaching them to the branches or on a garland to drape along a mantel, shelf or over a doorway. 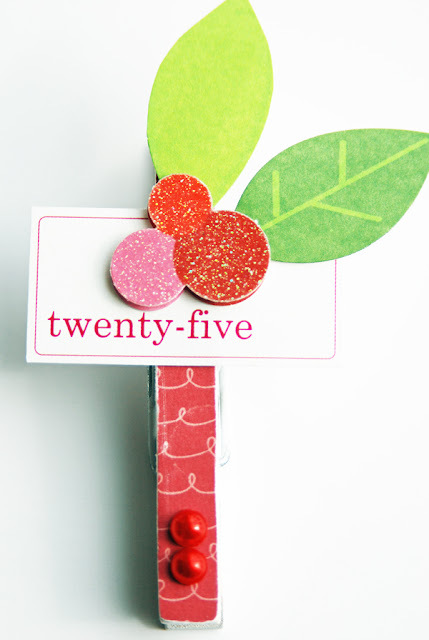 And what about using them as fun tags or gift toppers?" I've linked this project up to the new issue over at Paper Issues — It's Beginning to Look Like Christmas. 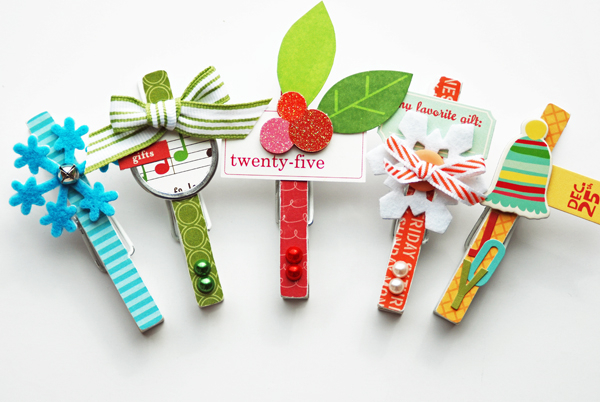 If you link up your holiday projects (through 12/8) you could win a $20 gift certificate to the Paper Issues store. Plus, your project could be featured on the Paper Issues blog, Facebook and/or Instagram. Linking up is super easy and I'd sure love to see some familiar names over there. :) Check it out starting at 12 noon EST today. Back in September, Alexa made a batch of vanilla cupcakes with Nutella frosting (recipe here) and of course I had to document the delicious little tidbits. If you want to see more of this collection and/or the stickers, they are in the Paper Issues store. Use code LISA20 and you'll get 20% off your entire order. Well that's it from me this week. 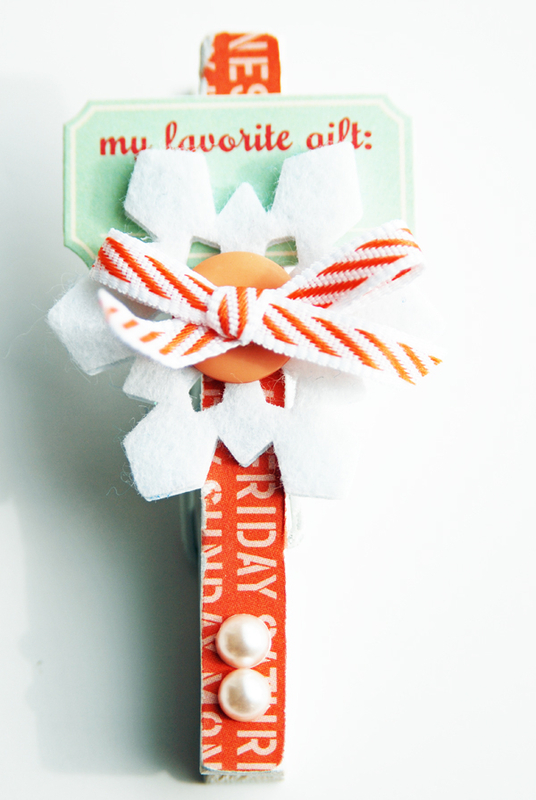 I'll be back on Monday with a merry and bright holiday project. Have a great weekend! Alexa had a few friends over for a Halloween crafting party last month. I put off scrapping the photos because a) I wanted to include quite a few photos and wasn't sure how I wanted to go about it and b) if you can believe it, I haven't bought a Halloween collection in years! 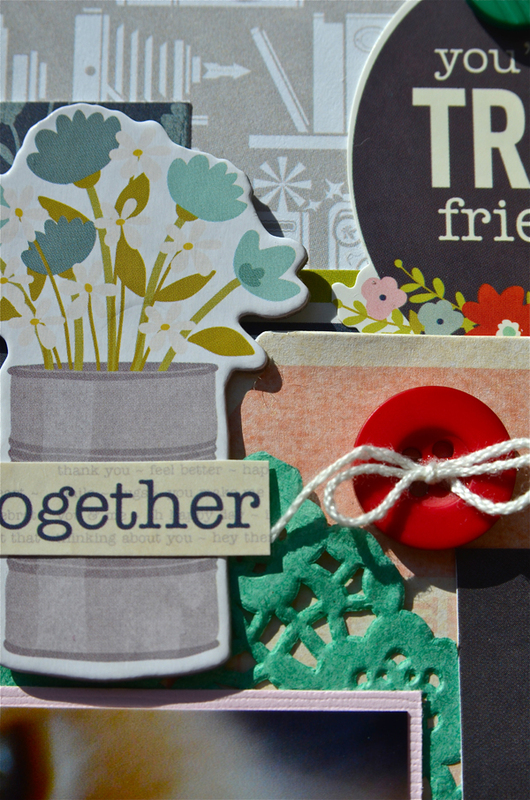 I was able to cobble this page together with little bits and scraps from my stash. The ghosts are cut from a frosted KI Memories paper, most of the stickers are from Bella Blvd. 's Too Cute to Spook collection (2011) and the background paper is from Simple Stories Year.o.graphy, a collection that has nothing to do with Halloween. So we're definitely talking an eclectic mix here. The adorable character brads are from My Mind's Eye Boo to You collection, another oldie but goodie. 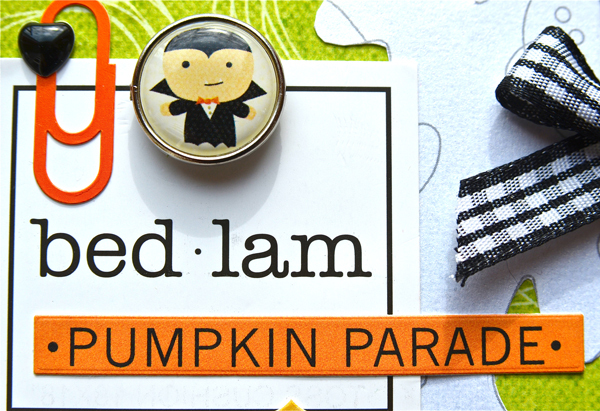 :) The "bed-lam" tag is from a pair of pajamas. This page is probably the heaviest I've ever made. There are eight photos on here, although you can only see two. Six more (4x6) are inside the polka dot bag. I created a library-style pocket from cardstock for the photos and then tucked the pocket into the bag, along with the journaling. 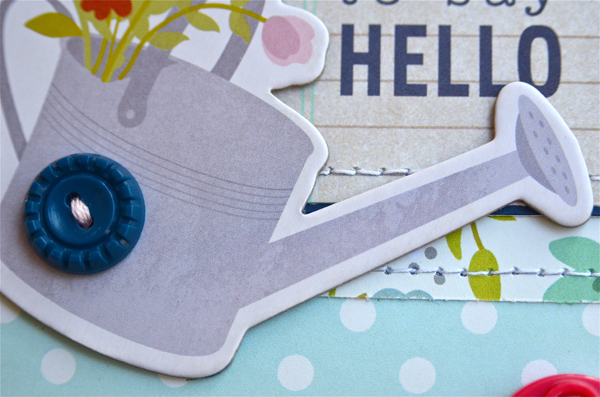 Paper Issues is sponsoring the newest sketch over at Creative Scrappers so a bunch of the Paper Issues design team members decided to play along. When I came across this turkey (well, half a turkey because the other half must have fallen prey to another project when I used the 'B' side of the paper), I had an aha moment. 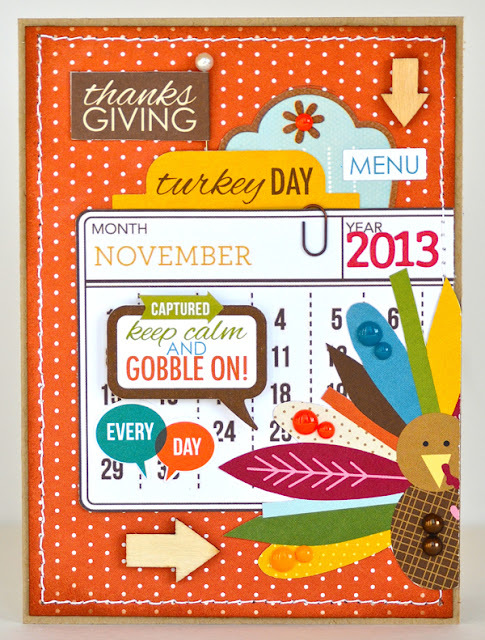 The turkey's feathers fan out in a way similar to the way the triangles fan out from behind the square in the sketch. Once I realized this, I went to town and the card came together easily. I even incorporated arrows and stitching, two more of the sketch elements. 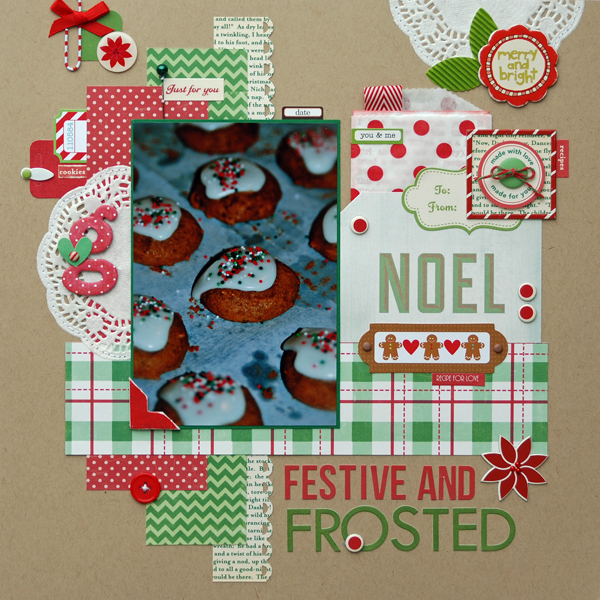 I hope you'll consider giving this sketch a try (link up is on the Creative Scrappers web site). 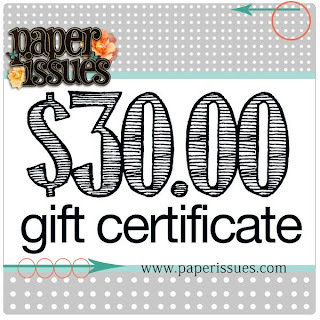 Paper Issues is offering up a $30 gift certificate to the Paper Issues store to one lucky participant. You can make that $30 go even further by using my code LISA20 to get 20% off your order (a code you can use any time). Good luck! The latest linky party at Paper Issues is called Grateful for You. 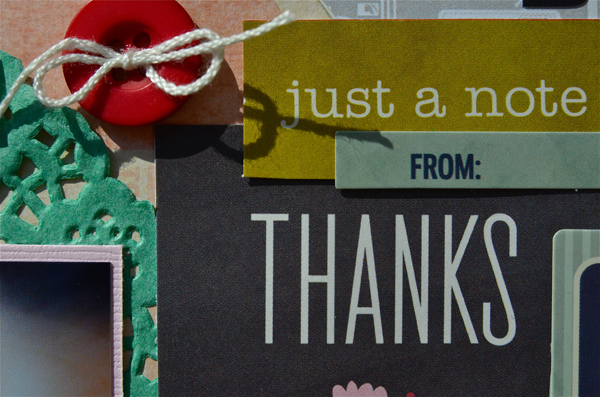 November is the perfect month to share gratitude projects, don't you think? 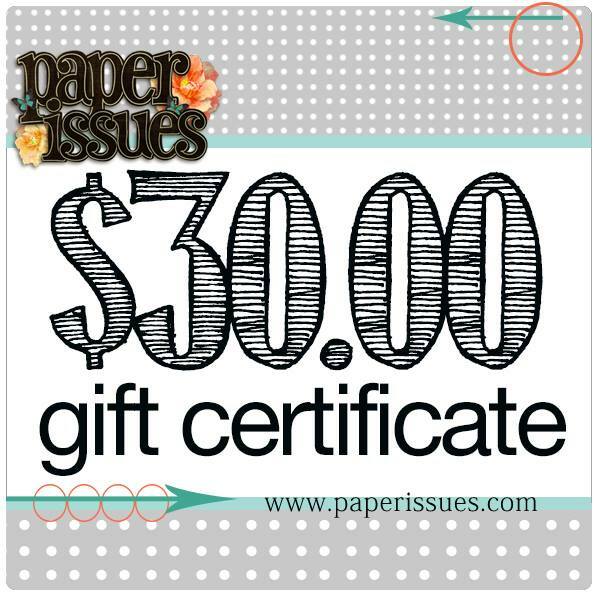 Link yours up for a chance to win a $20 gift certificate to the Paper Issues store (and maybe even have your project featured on the Paper Issues blog, Facebook page and/or Instagram). 1. Our family of three (well four, if you count the cat). 2. The ability to do what we love. For me, it's scrapbooking, for Tom it's woodworking and in Alexa's case, it's dance. 3. Sharing my love of baking (and cooking) with my daughter, in the same way my Mom did with me (and her mother before her). There's a long line of great cooks and bakers on the maternal side of my family. 4. 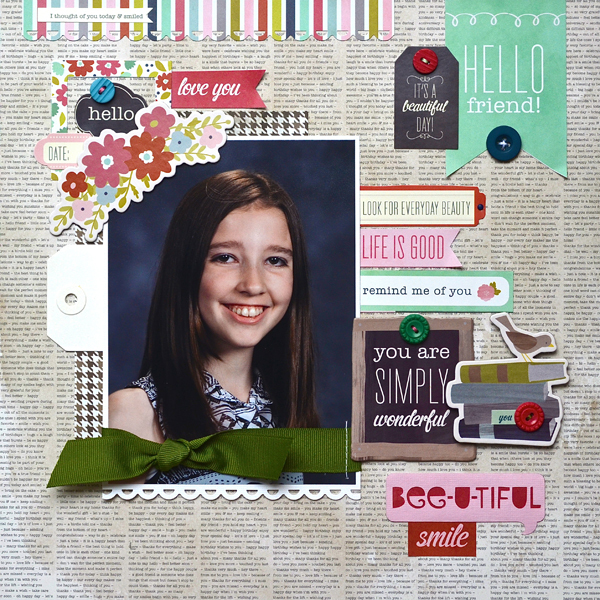 Being able to use scrapbooking to keep memories alive for Alexa, whether it be about today's events, those we've lost and love, or going back through the generations. 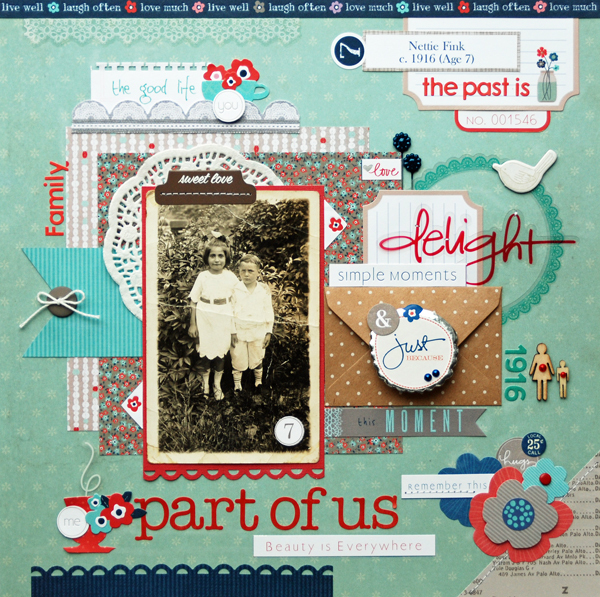 This is the second layout I've created with My Mind's Eye Cut & Paste Adorbs collection (you can see the first one here). I love this collection so much! It is filled with pretty patterns and colors, has a great selection of embellishments (and you know how much I love embellishments) and pairs so well with other products (like Simple Stories). This page is about Alexa's first day of seventh grade and how time is flying by so fast. She'll be graduating from high school before we know it (and I'll be a sobbing mess)! Have a great weekend! I'll be back next week with some new projects to share. Hi. 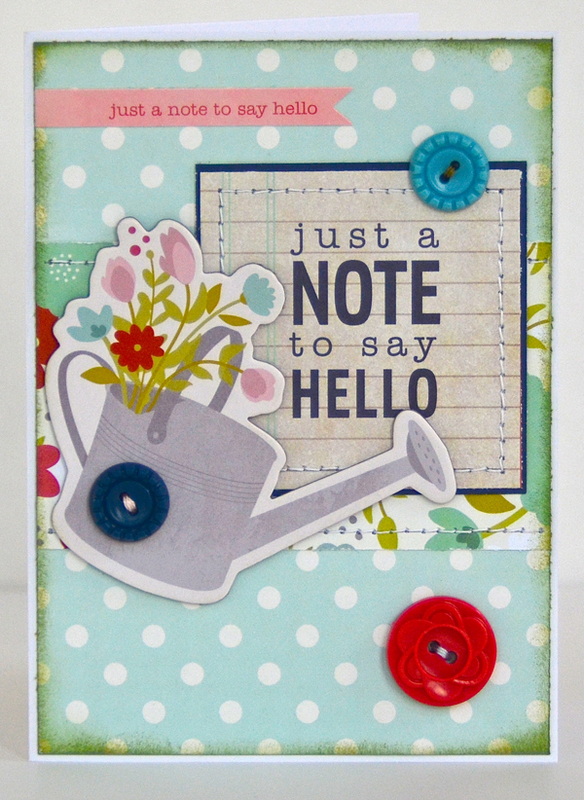 A simple hello, on a simple card, to brighten someone's day. 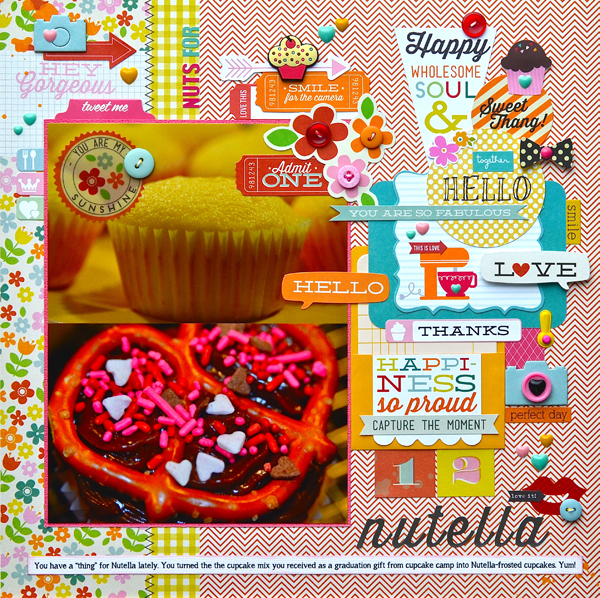 This is my last project with this month's creative kit from My Creative Scrapbook. Thank you for coming along for the reveal of my projects. :) I hope you enjoyed seeing them. Tomorrow I'll have a layout to share. One I did just for fun. Have a great day! It's been a long while since I've shared a post about my process. Today it's time to change that! 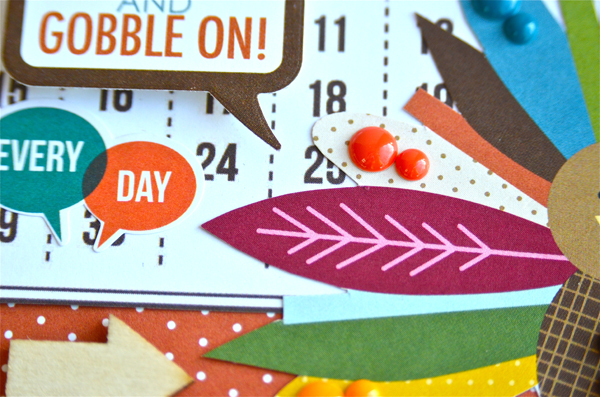 Let's peel away the layers and take a step-by-step look at how this page came together, shall we? As we go along, you may notice a number of pencil markings around the page. That's because I plan my pages out. Once I get everything where I like it, I pencil in where everything goes. After that, I take everything off the background, then start putting pieces back in a methodical manner. It's kind of like doing a puzzle. 1. 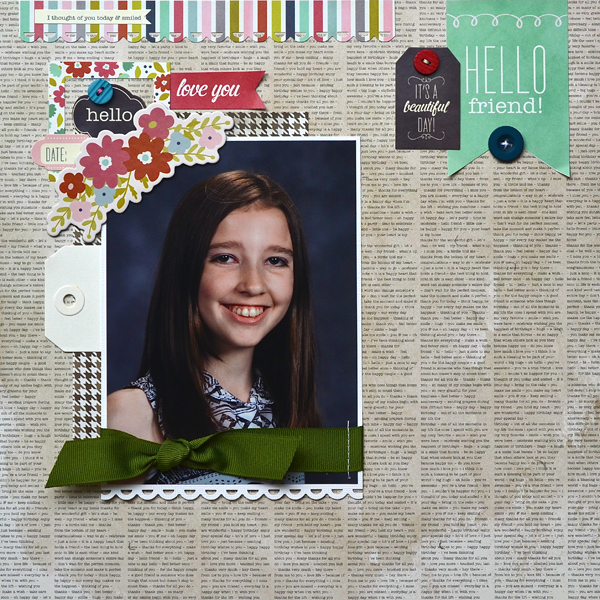 Lay the groundwork for the left side of the page — a punched border, a block of patterned paper as the backdrop for the photo, a small floral frame (to see where this piece came from, see the photo below) and a banner. 1a. 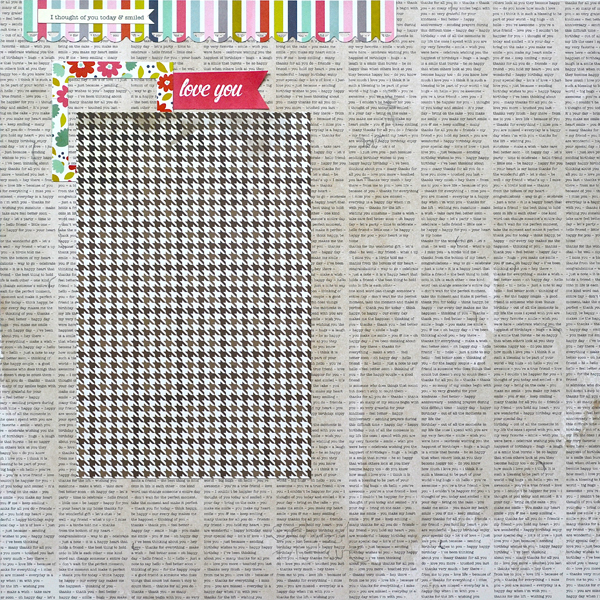 Pebbles Front Porch Knock Knock paper is full of wonderful elements that can be used as embellishments on your pages. Do you see the block highlighted by the large arrow, toward the bottom left side of the paper? Cut this piece from the sheet. 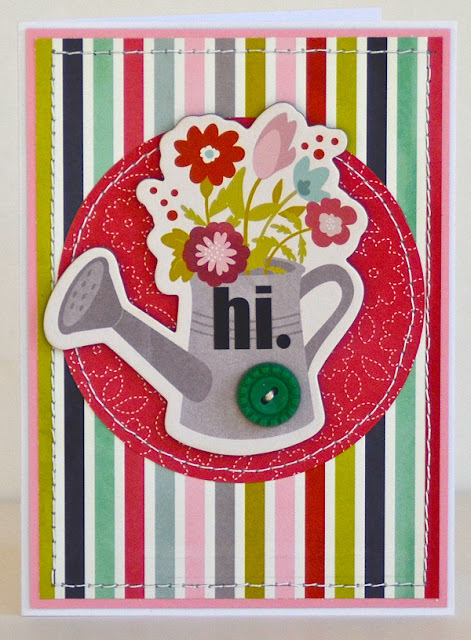 Cut the sentiment from the center of it (following the dotted border I've noted as a guide) and use the floral piece as a frame. 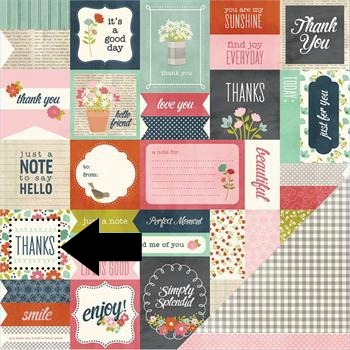 The "love you" banner (shown on the photo above) was also cut from this paper (middle row, toward top). 2. Now it's time to start the layering process. Add two phrase stickers ("hello" and "date"), the photo, then the large floral chipboard piece to the page. Note: The photo mat should be cut slightly longer than the photo itself to leave room for a punched border at the bottom. 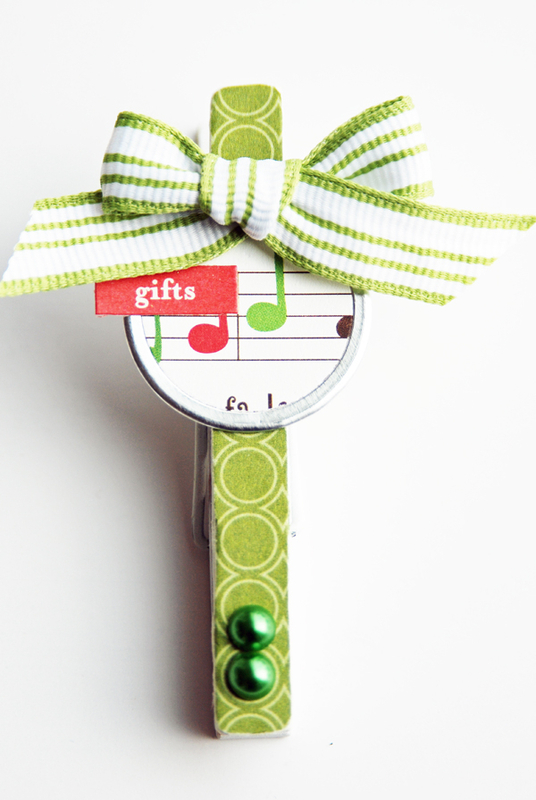 Tie a length of green grosgrain ribbon around the photo before adhering it to the page. I like to secure ribbon to the back of a photo with a bit of double sided tape so it doesn't slip and slide while I'm trying to tie it. When I'm done, I use my sewing machine to run a vertical stitch down one side of the ribbon to be sure it stays in place. 2a. Adhere the "Hello friend!" 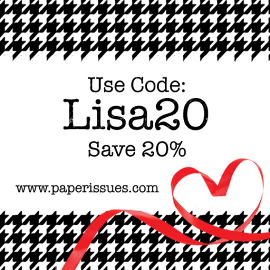 banner (cut from the Knock Knock paper) along the upper right edge of the page. Layer the "It's a beautiful day!" sticker tag over the banner. 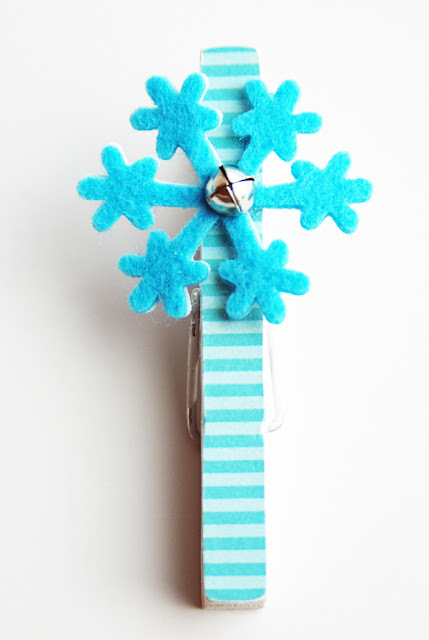 Add buttons as shown, securing them to the page with embroidery floss. 2c. I've tucked a basic white shipping tag behind my photo because this is how I like to do my journaling. I'll get to that once the layout is finished. 3. 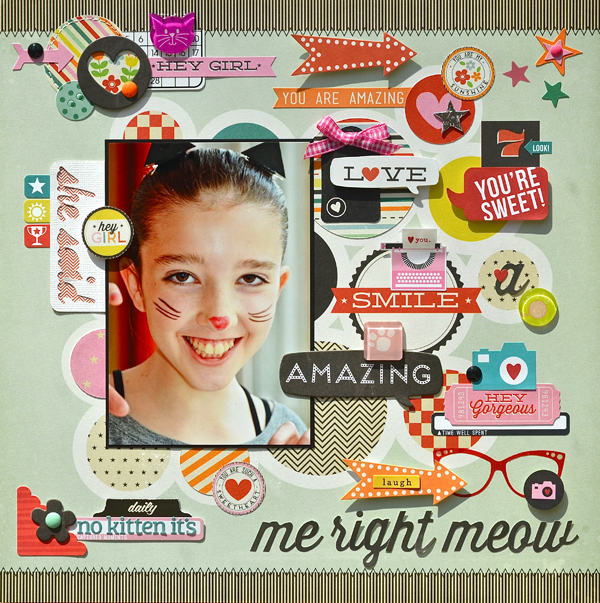 Add a mix of Knock Knock paper sentiments, phrase stickers and chipboard pieces to the right of the photo. 4. 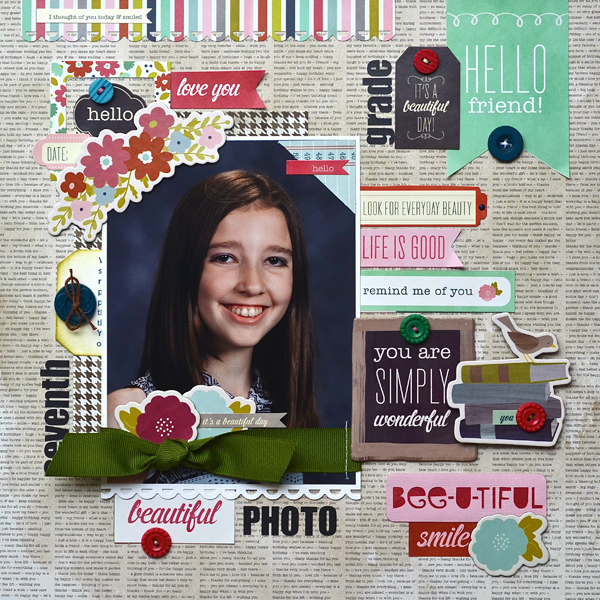 Now it's time for the finishing touches, like the title (which is spread around the page, in a visual triangle), some chipboard flowers (to balance the large chipboard piece anchoring the top left corner of the photo), and a finished journaling tag tucked in behind the photo. Thanks so much for coming along on this creative journey with me today. I hope you enjoyed seeing how this page came together and learned a bit about my creative process. Happy Monday! 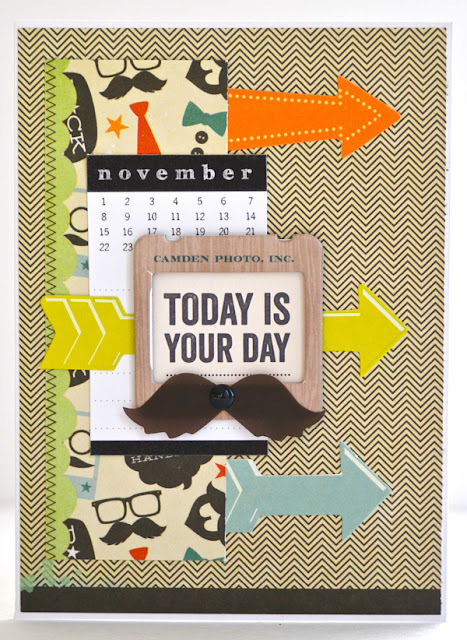 I'm starting the week off with a card I made with November's creative kit from My Creative Scrapbook. 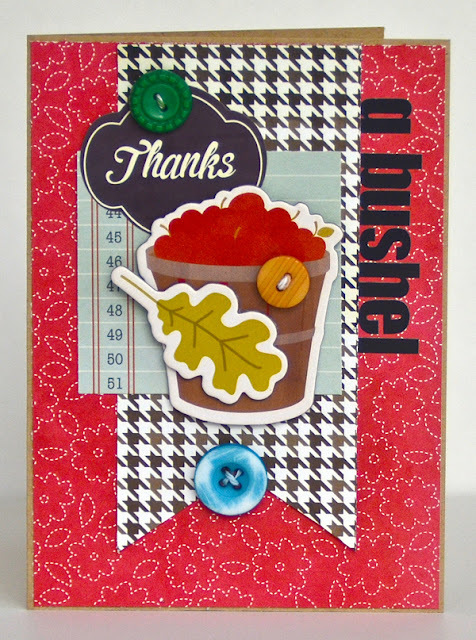 I layered two chipboard pieces (basket of apples and leaf), added in some stickers and buttons, and ended up with a super easy fall-themed thank you card. That's it for today! 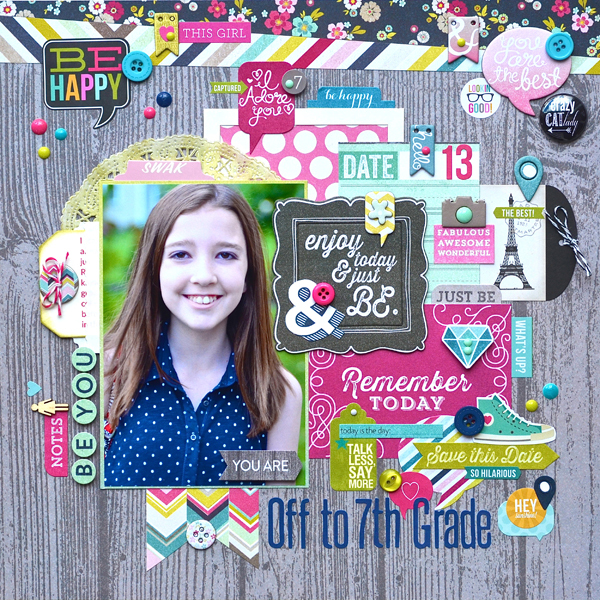 Tomorrow I'll have a process/step-by-step post showing how a layout I shared last week (Seventh Grade Photo) came together. 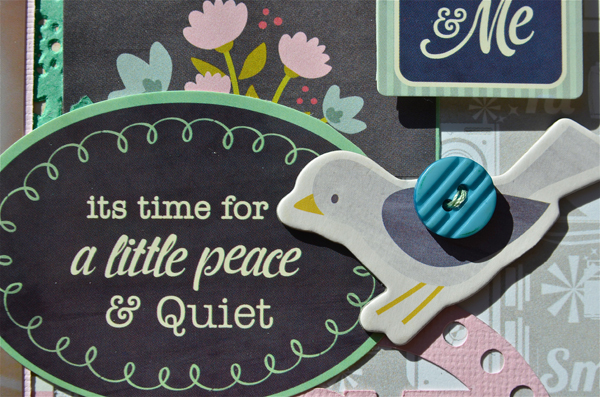 Pebbles Front Porch collection is full of sentiments perfect for card making so I couldn't resist making a couple of cards with this month's creative kit from My Creative Scrapbook. I kept things pretty simple, embellishing with a chipboard watering can and a trio of October Afternoon Farm Girl buttons. 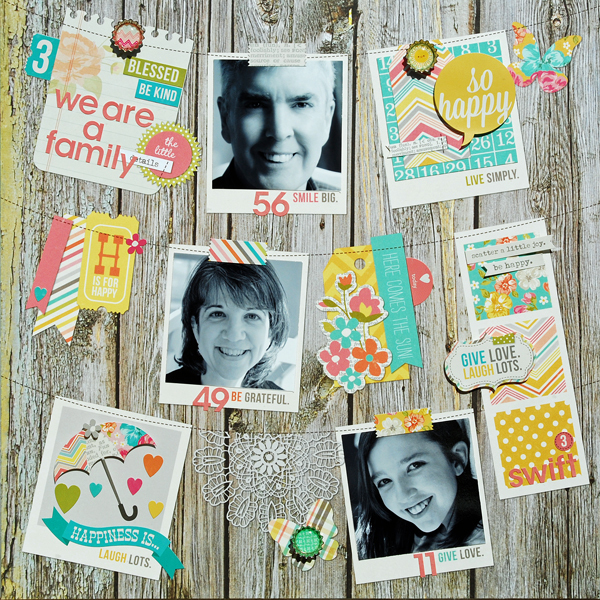 Ready to see one more layout made with this month's creative kit from My Creative Scrapbook? This page is about Alexa's cat, Butterscotch. He is such a gentle sweetheart and puts up with all sorts of craziness from her. LOL! Tomorrow I'll start sharing the cards I made with this month's kit. See you then!